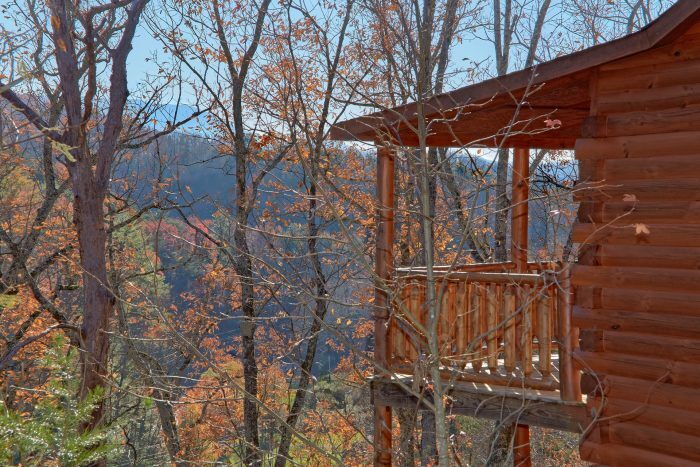 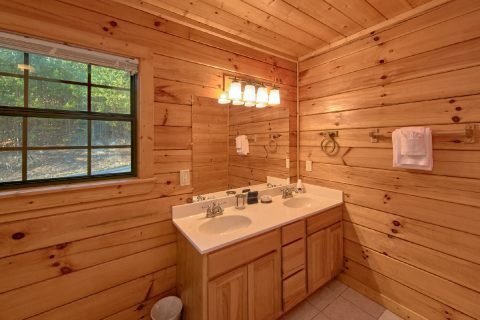 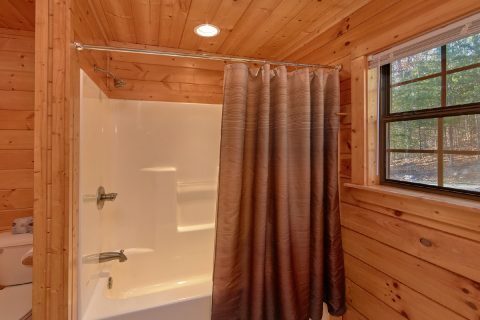 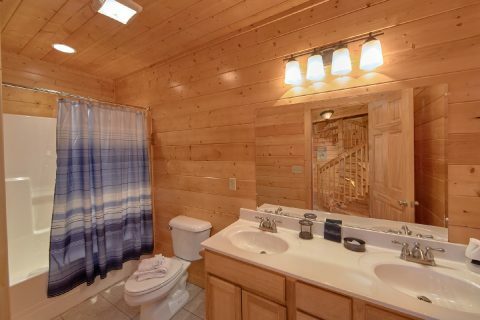 Located only 7 miles from Downtown Pigeon Forge and only 2 miles from Dollywood Theme Park, you'll find "Cheeky Chipmunk Getaway," an affordable 3 bedroom cabin in the lovely Hidden Springs Resort area! 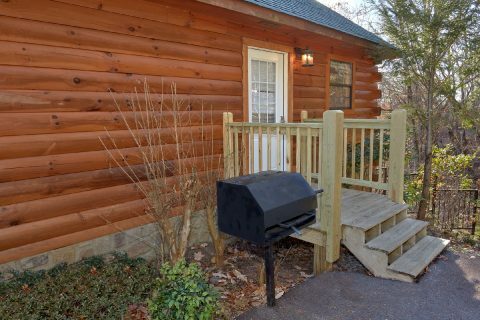 Not only does this rental keep you close to major Pigeon Forge attractions like Dollywood and The Island, but guests of this cabin will also enjoy resort amenities like the indoor/outdoor swimming pool! 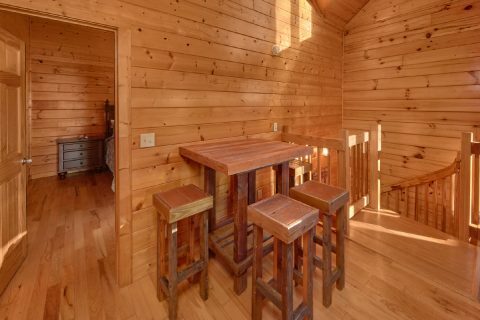 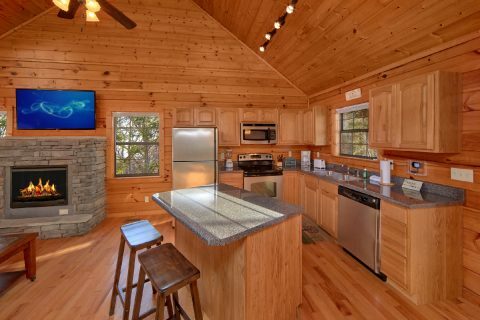 Step inside this cozy 3 bedroom cabin and you'll find a welcoming space that's perfect for spending time with your friends and family. 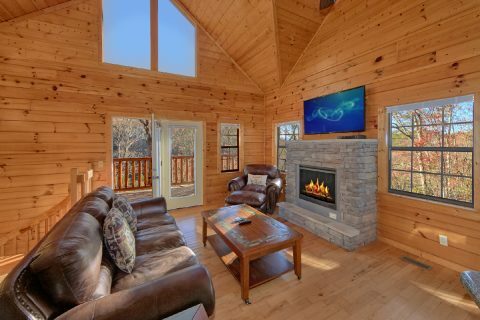 The main level of this rental features an open concept floor plan complete with a full kitchen with a breakfast bar and a living room with a cozy electric fireplace with a flat screen television mounted above the mantel. 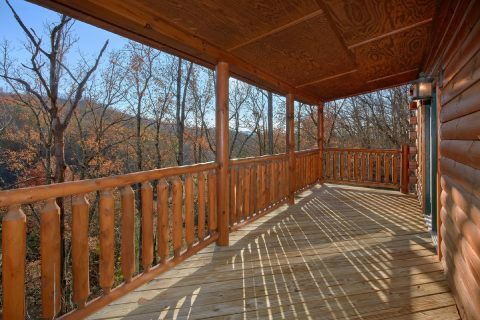 From here, you can step outside to your cabin's upper deck with a wooded view and rocking chairs. 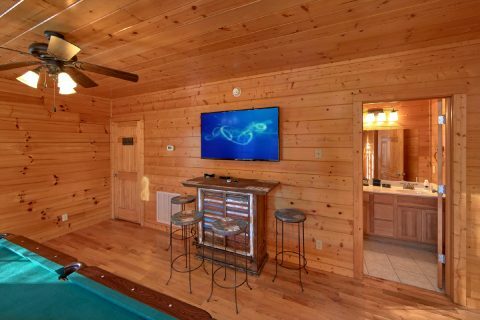 On the lower level of this rental, you'll find a game room with a pool table, pub table, and a flat-screen television, the perfect room for enjoying some friendly competition during your vacation. 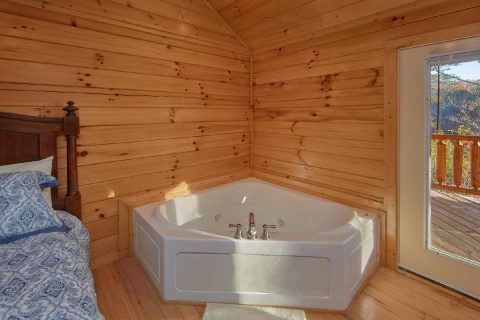 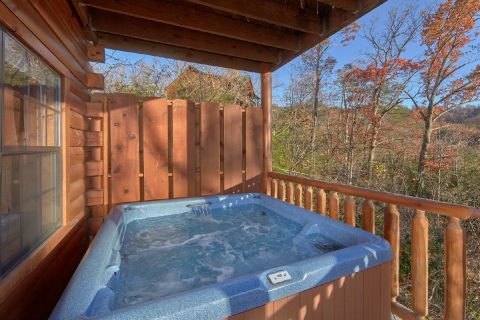 Nearby, you'll find your cabin's lower deck with a hot tub and rocking chairs for enjoying the fresh mountain air. 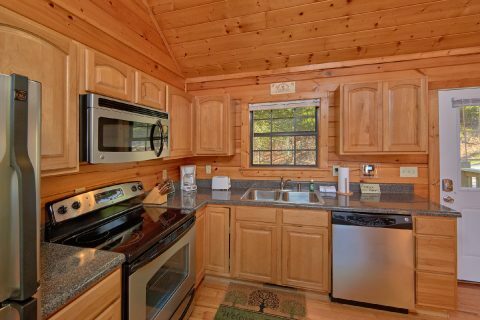 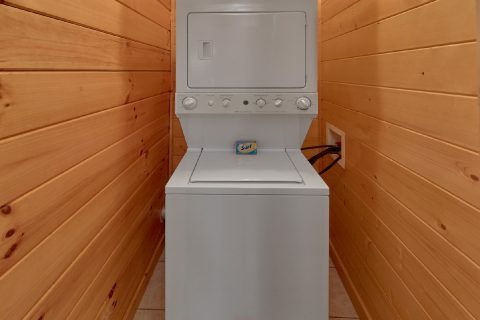 This cabin also comes with practical amenities like a charcoal grill, a washer & dryer, and WiFI Internet for you to enjoy on your vacation. 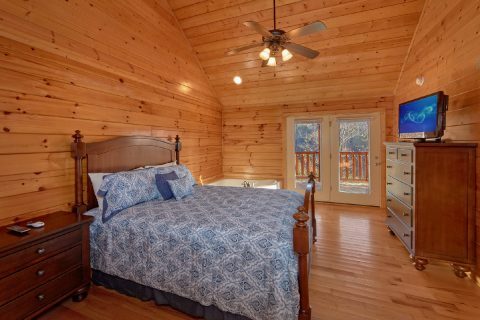 After a great day spent exploring Dollywood or relaxing at your cozy rental, you can get a great night's rest in your cabin's 3 private bedrooms. 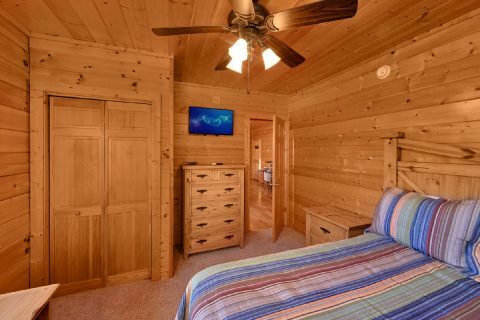 The main level is home to a bedroom with a queen bed, private flat-screen television, a jacuzzi, and a full bathroom. 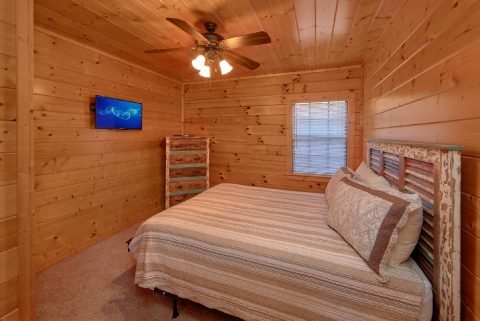 Downstairs, you'll find two more bedrooms with queen beds that also offer flat-screen televisions. 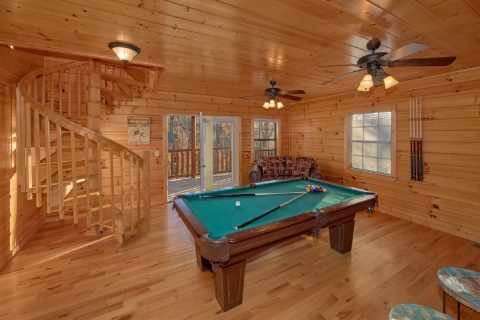 Lastly, the game room provides a twin sleeper sofa for additional guests. 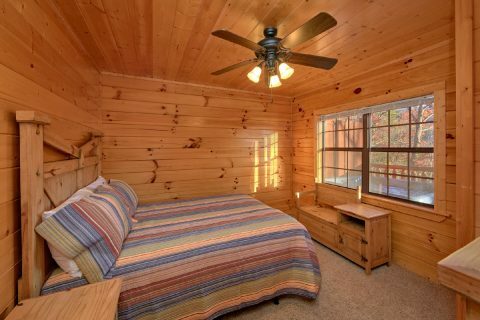 Altogether, this rental can accommodate up to 7 guests in comfort. 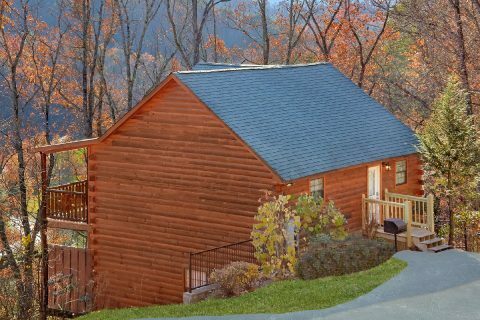 Book "Cheeky Chipmunk Getaway" to start planning a Pigeon Forge cabin vacation complete with a game room, hot tub, and resort pool access! 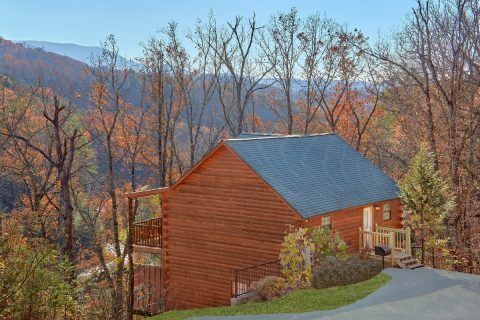 Best of all, you can save 15% on your cabin's nightly rate by booking this rental online with Cabins USA!